"If Tamron built this lens to outperform the Sigma offering then they succeeded with full frame cameras. The gain in performance over their rival’s offering is less noticeable on the APS-C cameras. Despite that, the image quality is a slight improvement over the Sigma. Given the longer range and similar price, it’s a pretty impressive achievement. The Tamron even outperforms the pricier Canon lens on the full frame Canon EOS 5D Mk III though it’s less convincing when compared with the Canon EOS 7D. There’s likely too little in it to switch but for first-time buyers the new Tamron is an attractive proposition." At first glance, it sounds impressive until one parses the words, "outperforms the pricier Canon lens on the full frame Canon EOS 5D Mk III though it’s less convincing when compared with the Canon EOS 7D. There’s likely too little in it to switch ...."
The 'outperformance' is marginal, at best, and especially when one realizes the Canon EF 100-400mm f/4.5-5.6L IS lens came out in 1998! 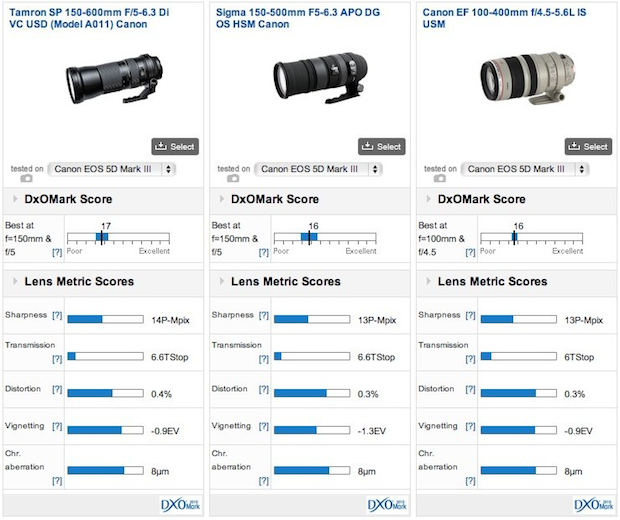 When comparing lenses, it has to be apples to apples. Everyone knows in the last few years, many new improvements have been made in coatings and optics. It takes 2014 Tamron technology to 'outperform' a 1998 Canon lens? "In short, I am not impressed by this lens, even at the low price, although it can be a good value to an occasional wildlife photographer. It will be discounted to under $1,000 once it is widely available in the US. I will not go into further details and spend a lot of time on it since my purpose is just to get a preliminary feel for this lens. In general, I prefer Sigma lens to Tamron and Canon to both. But for those who do not want to or cannot afford a more expensive long zoom lens and is willing to accept the trade off, this lens may offer them a good alternative. Read my earlier post on Travel and Wildlife lens recommendation. I will gladly buy the Canon EF 100-400mm f/4.5-5.6L IS or the EF 400mm f/5.6L and add an extender (MF only beyond f/5.6 on non EOS-1 bodies except EOS-5D Mk III) or use the EOS-7D body to get the additional focal length. The best, super Telephoto zoom on the market is the Canon EF 200-400mm f/4L IS USM Extender 1.4x lens." It appears Tamron is having some production bottle-neck with this lens. They are manufactured outside of Japan and the initial order surge has overwhelmed the first run. It is still not available in the U.S. as of June. Some Asian dealers are taking advantage of this 'shortage' by charging $1,400 for this mediocre glass. Once the production catches up with the preliminary demand, the price will drop below $1,000 in the U.S. Those who pay above the suggested retail price of $1,069 will find their 'investment' a fast depreciating asset soon. By the way, Tamron is a third party manufacturer and the lens is designed for full frame and APS-C 1.5X cropped frame cameras. There is no guarantee it will work flawlessly with Canon or Nikon APS-C cameras now or in the future. Canon will be announcing the EF 100-400mm f/4.5-5.6L IS II lens some time in August. This is one lens I have been waiting for years to buy. I have just come back from a wildlife photo shoot in India. Took the EF 200-400mm f/4L with me. Visit my website MichaelDanielHo.com to see photos taken with all the other Canon lenses. Most reviewers make a big deal about this lens. You made a great point by revealing the brand new Tamron glass barely edge out a Canon lens with a 16 year old design, on only one camera test. Thanks for putting things in context. I am actually neutral about 3 rd party lens makers. Every lens must stand on its own merit. It is strange to read so many favorable reviews about this Tamron lens without anyone pointing out the obvious. Too good to be true can be proven right many times over. Good review. Sometimes people get carried away by hype and keep on repeating them. One must compare apples to apples. It seems some people are trying to 'prove' there is such a thing as a 'free lunch.' They point to how this budget priced Tamron lens can 'beat' or 'equal' other more expensive branded lenses and ask why one would buy those much higher priced glass. 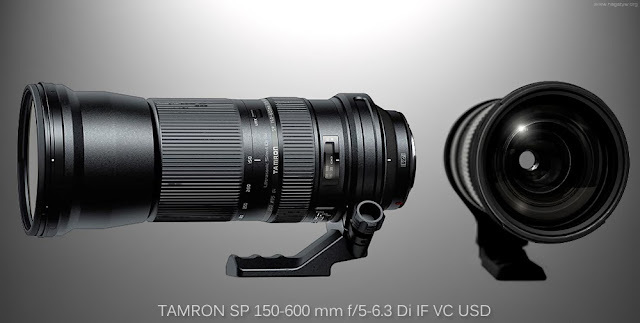 Unless, one believes in conspiracy theories, one must ask how many Tamron 150-600mm lens will appear in the upcoming World Cup 2014 in Brazil vs. Canon or Nikon glass? While the Tamron 150-600mm can be a good choice for occasional sports or wildlife photography, it is hardly ready for prime time action.